The moon is bright enough to see by as we drive up the mountain past the "road closed" sign - YES! 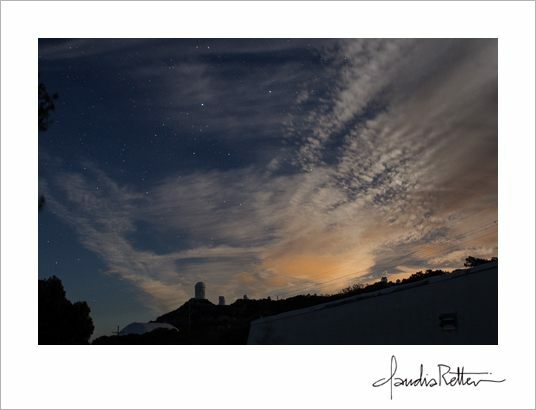 - I am officially behind-the-scenes, visiting Don Terndrup, my astronomer friend who has a two-week run at the McGraw-Hill telescope on the southwest ridge of Arizona's Kitt Peak. I inherited my love of the night sky from my Dad, who's been an astronomy buff longer than I've existed. I was then lucky enough to have gone on plenty of grade school field trips to the Hillcrest planetarium, where Mr. Prosek would take us on magical journeys through the starry night. I never wanted the lights to come back on. It is a dream come true to be here, soaking up everything I can and photographing along the way. 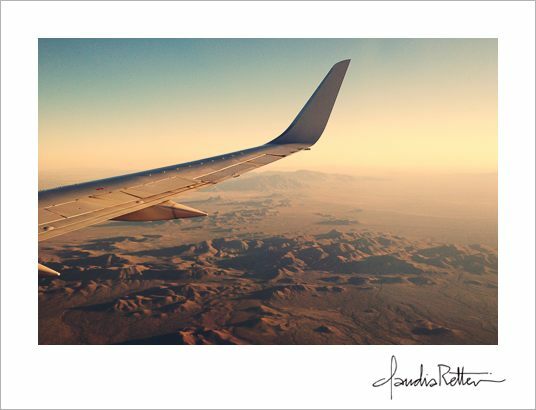 Just under the wing are the Quinlan Mountains west of Tucson, of which Kitt Peak is the highest point. I could see all the little white telescope domes from my window. I had no idea I'd wind up getting this gorgeous preview when I chose my seat. 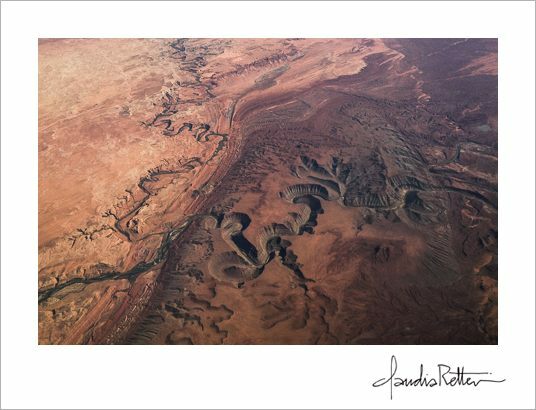 The entire plane ride was a 30,000-foot fly-by of the great American landscape: prairie lands, the Rocky Mountains and the Great Sand Dunes, the Grand Canyon, Monument Valley (which looked like a handful of pebbles from that altitude), Utah's canyons... Looking down I found it hard to believe that a bazillion years ago all that desert and red rock was under an ocean. We drop off groceries and head to the observatory. Moonlight and darkness. Don opens the dome and lets in the stars and when I look up I am awed and humbled and full-up with wonder. I am so tiny. And I am standing at this window open to the heavens, watching a telescope peer inconceivable distances into space.